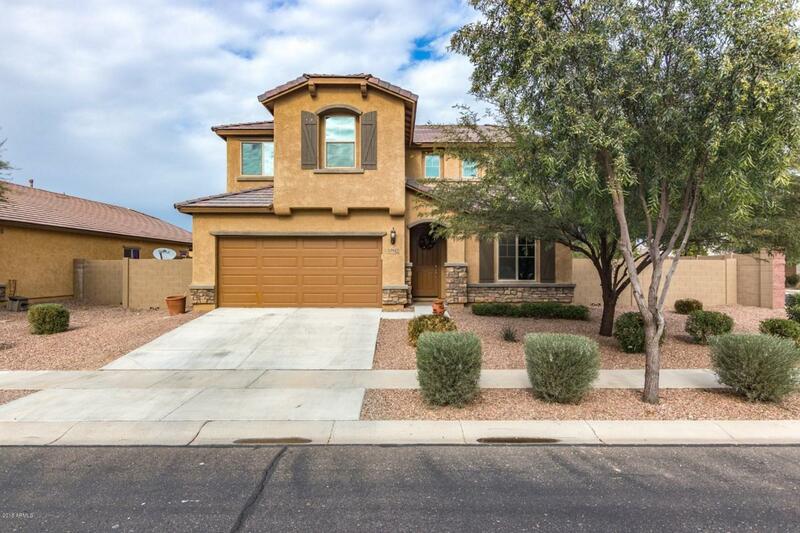 Gorgeous, highly sought after Pulte ''Ridge'' model on hard to find over-sized corner lot. 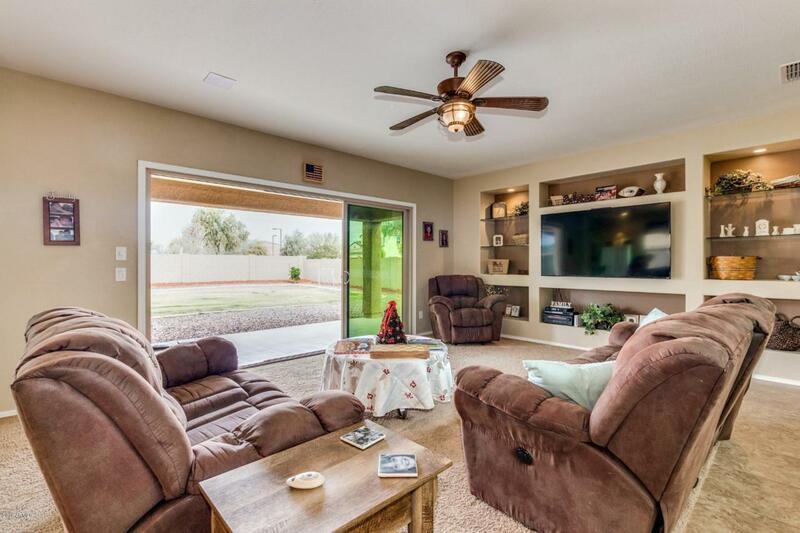 From the second you walk in the front door you will be in awe to see the 3-panel patio door with panoramic views of yard that is perfect for entertaining. 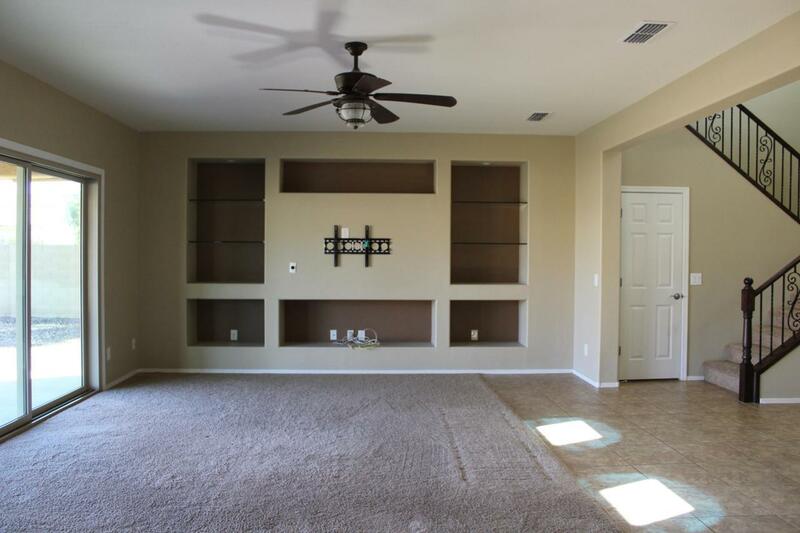 The upgrades don't stop there...everything from the entertainment wall in the great room with built-ins to the open staircase railing, two tone paint with designer finishes throughout, granite countertops, backsplash, & SS appliances. Bedrooms are upstairs w/ loft and laundry room with sink. 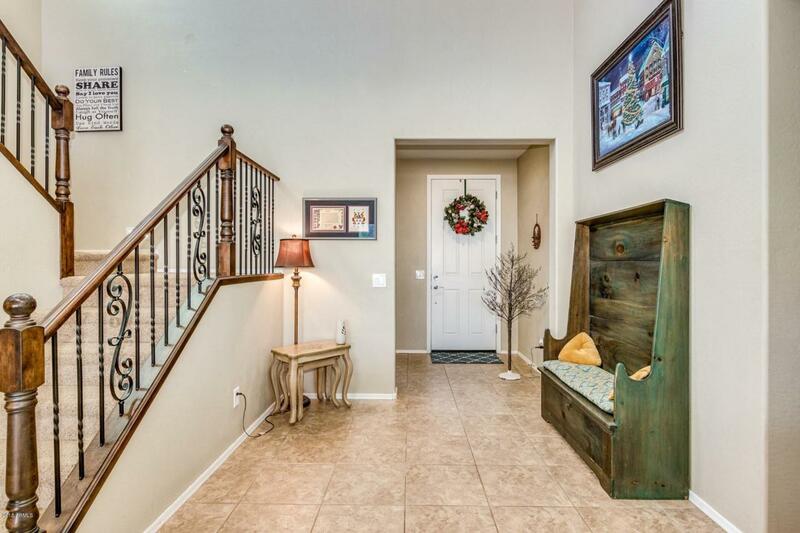 The master boasts a custom barn door, dual vanities, separate tub/shower and large walk-in closet. With a 9,800+ SF lot there is ample space for a RV gate and endless possibilities for your own private pool, sport court & more. Priced to sell and A MUST see!